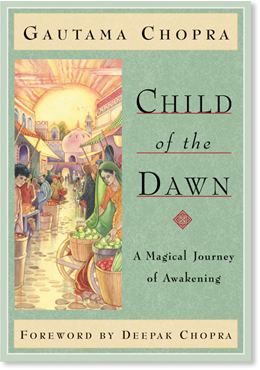 Child of the Dawn (eBook) - Amber-Allen Publishing, Inc.
Based on The Seven Spiritual Laws of Success, Child of the Dawn tells a rich and colorful tale about an orphan boy, Hakim, who is lost, alone, and seeking his purpose in life. As Hakim becomes aware of himself and his lowly position in life, he dreams he is a king in a luxurious palace, surrounded by servants and adoring subjects. The stark contrast with his waking life inspires in him a desperate urge to make such a life his own. Hakim embarks upon a quest for power and wealth, thinking this will bring him the happiness he seeks. It is a search for meaning, a quest for love, the justification of his entire existence. Searching for a mysterious “wise one,” Hakim encounters many colorful characters on his travels — helpful figures who impart timeless wisdom with wit and charm, shadowy eccentrics who tempt him with intriguing offers, and elusive guardian spirits who quietly appear to watch over him. Hakim’s journey takes him through inner and outer worlds as he struggles toward the dawn of understanding, and is led to an ultimate realization about the true meaning of power and freedom. As we follow Hakim’s search, we are led through the inner landscape of our own hearts into a deeper understanding of the spiritual laws that govern life and lead us to the fulfillment of our dreams.